Bitochon created a static web site for a watch company that is purely an online business. The site allows the owner to advertise its various watches an includes an e-commerce function so that site visitors can place online orders. 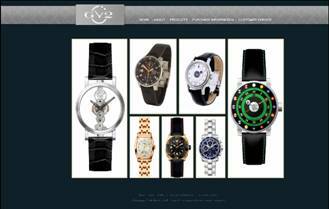 is static New York web design displays pictures of the watches and gives information about each item. Watch designs remain the same for long periods of time, but the owner can make changes and add new items easily..